It’s been a busy month in the recording studio. 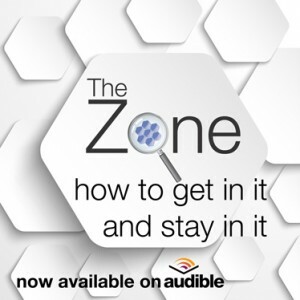 The audiobook version of The Zone is now available via Amazon, Audible and iTunes. Two other books have been recorded too! The Zone Show continues to be one of the most fun way for me to network with some of the most amazing artists, writers and thinkers. After a month off in January while I was on holiday, February’s guests launched The Zone Show into 2016 with a bang. Take some time out to open your mind and, as a result, your world with these gems.